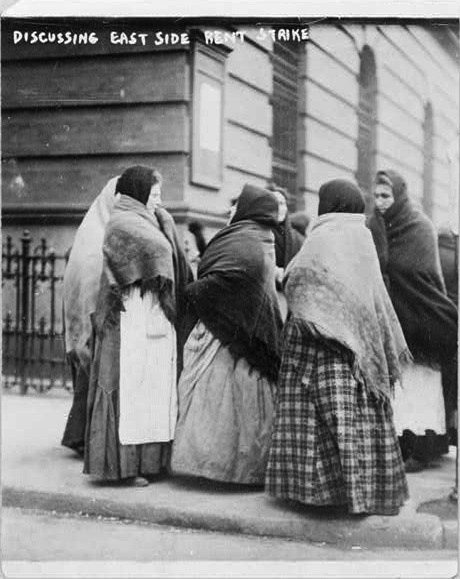 By 1907, 16-year-old Pauline Newman (left) had been in New York City for six years. 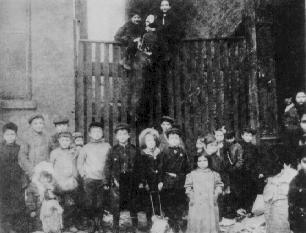 Her widowed mother moved Pauline and her sisters from Lithuania to Madison Street on the Lower East Side in 1901, into a tenement with no bathroom or windows. A few years later, Pauline began sewing shirtwaists in a factory—the Triangle Waist Company, actually, though this was three years before the deadly fire there. 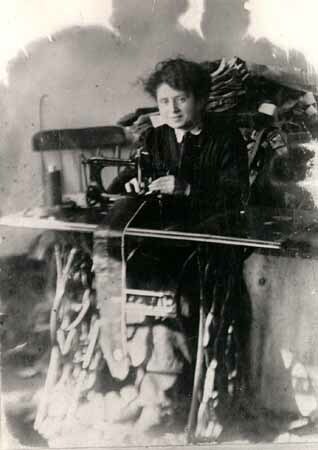 Active in the growing labor movement and a future leader of the International Ladies’ Garment Workers’ Union, Pauline was frustrated with the working and living conditions around her. Tenement life was rough. And then, in fall 1907, landlords called for a rent hike—without making the buildings any more liveable. So in December, she helped organize a rent strike, enlisting 400 other “working girls” who supported themselves on factory wages, to try to persuade other families to join with them and demand an 18-20 percent rent decrease. 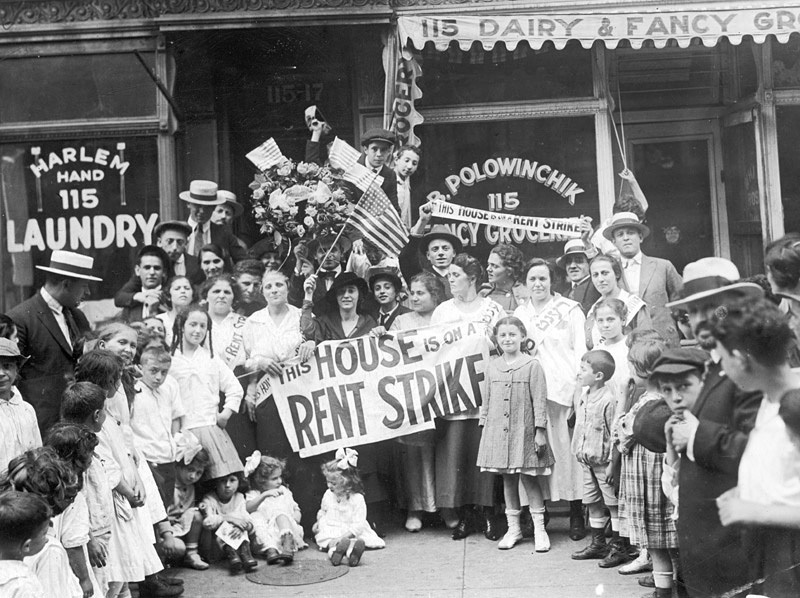 On December 28, having convinced 10,000 households to withhold rent, the strike began. Landlords fought back by shutting off water and ordering evictions, wrote the Times. In early January, both sides claimed victory. “The rent strike resulted in reduced rents for approximately two thousand families,” wrote Bartoletti. Laws we’re still debating today. This entry was posted on June 21, 2014 at 7:43 am and is filed under Lower East Side. You can follow any responses to this entry through the RSS 2.0 feed. You can leave a response, or trackback from your own site. If they thought that was bad, they’d really be shocked at how it increased from $20 in 1907 to more like $2,500 today! This episode in New York history should be taught in every school so young people will see how powerful they can be! Thanks for this wonderful story.